Do you need an emergency Dublin plumber? Most of us will know that sinking feeling either when we come home from work and put the heating on and nothing happens or wake up in the middle of the night to the sound of running water. Unfortunately these things happen at the time you least expect them. This is why Plumbers Dublin operate a 24 hour a day, 365 day a year emergency plumbing service. Everyday is a work day for us. As we are a large company we have the extensive resources to provide this comprehensive service. It doesn’t matter if it’s Christmas day or New years eve we always have plumbers on call throughout county Dublin. About our emergency Dublin Plumber staff. From Swords to Shankill we always have an experienced emergency Dublin plumber on hand. We guarantee that your call will always be answered and in a polite and friendly manner. One of our senior staff will then try to help you alleviate the problem over the phone where possible. Then we will send someone to fix the problem within the hour day or night. All of the plumbers within our company are vastly experienced some with upwards of 35 years experience within the industry. This means you can be assured we will be able to rectify the problem. Our thorough vetting of all of our staff means you will get expert, quality workmanship. All of our staff are fully qualified and R.G.I. registered. We also ensure they are fully compliant with current health and safety legislation and up to date with manual handling. We always give a 100% guarantee for all of our work. This goes alongside the manufacturers warranty supplied for all new parts fitted. If the part just happens to be defective we will happily replace it free of charge. We are also covered by full public and professional indemnity insurance. How much does an emergency Dublin Plumber charge? Not a lot in comparison to some of our competitors. A large part of the reason we have built such a good reputation throughout the many years we have been trading is our “fair pricing policy”. This means our customers return for all their plumbing work as needed. We are completely open and transparent. We tender a quote for a job and our word is our bond. Unfortunately, some companies operate with hidden fees and charges. We don’t. 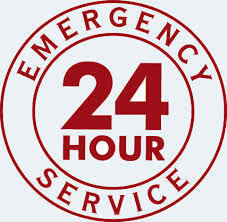 You won’t find an emergency Dublin plumber employed by us ever charging for call outs or any sort of traveling time. If we have to source parts we do so in our own time and don’t charge the customers. Any expenses we incur such as parking fees or anything as such we don’t pass on. We only ask for payment once the job is completed and only then if the customer is totally satisfied. Our staff are very polite and respectful at all times and commence work at the time it suits the client. This means you get a high-quality plumbing service with expert workmanship. On completion we clean up afterward and leave you property as we found it.